Finally! Palm Coast has a fun yet sophisticated spot for Sunday brunch. Served on our beautiful southern verandah overlooking the Greens, brunch at The Green Lion Café is truly a spectacular event. 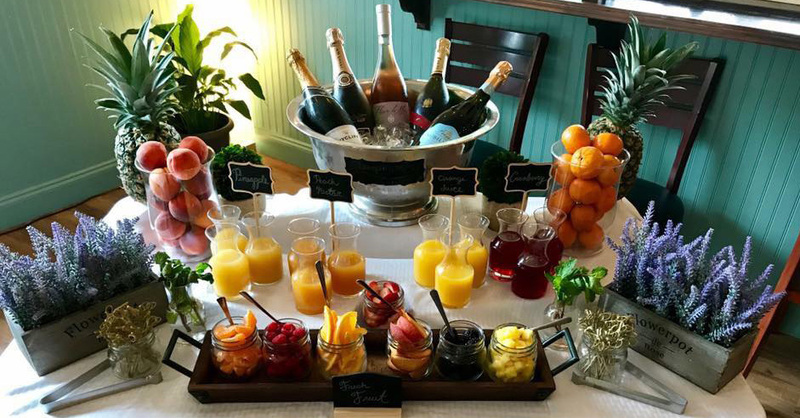 Join us every Sunday for a fresh chef made-to-order omelette station, and our amazing build-your-own bottomless champagne and bloody mary bars fully stocked with everything you could desire to create the perfect funday libations. Regular menu's also available at all times plus live acoustic music.